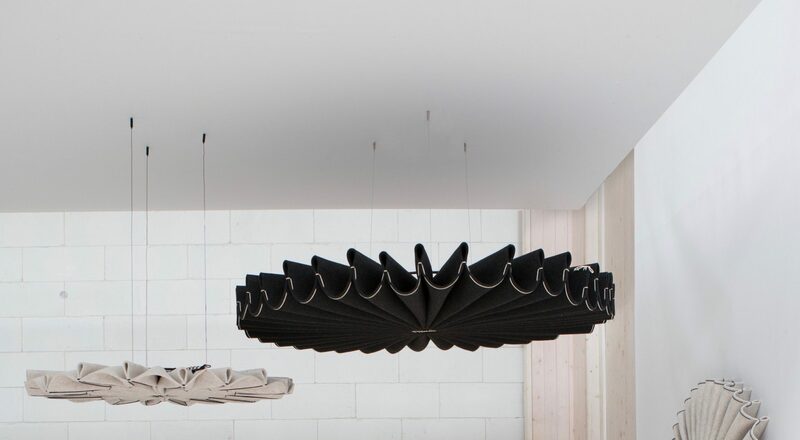 The BuzziPleat by 13&9 Design reinterprets ancient techniques used in fashion design, like smocking and pleating, to create large scale, yet lightweight sculptural forms made of sound-absorbing BuzziFelt. Two sizes and two types of folds (Edel or Ripple) are available with the option to mount to the ceiling or wall. Architectural folds maximize surface area, delivering exceptional acoustic performance.